For inquiries and bookings CALL 0455 366 707 or use the booking form. PayPal and Internet Transfer accepted. 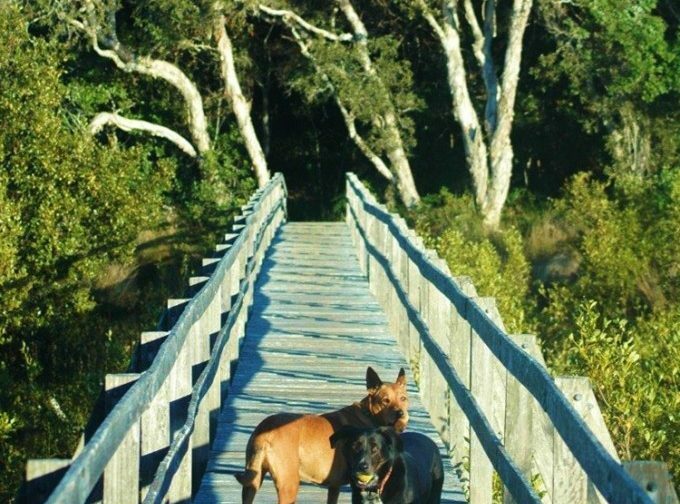 Sanctuary Bush To Beach House is the ultimate dog friendly beaches holiday home. 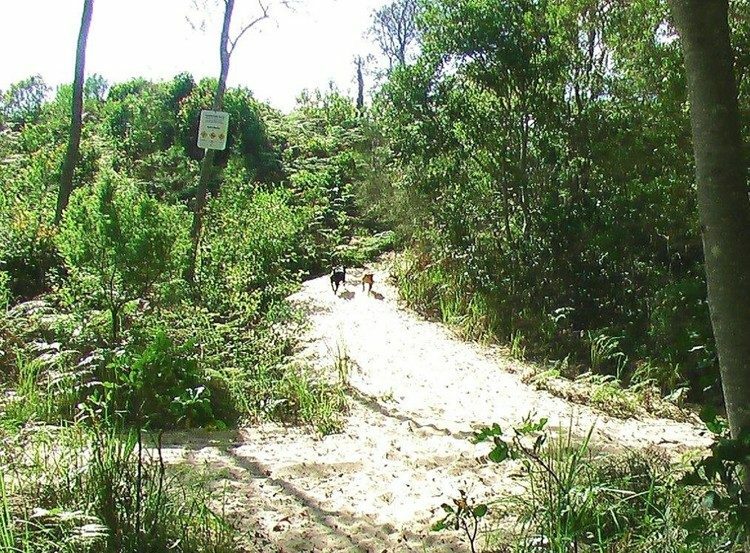 Just a 7 minute walk on a bush trail to a stunning dog off leash beach that you are very likely to have to yourself! 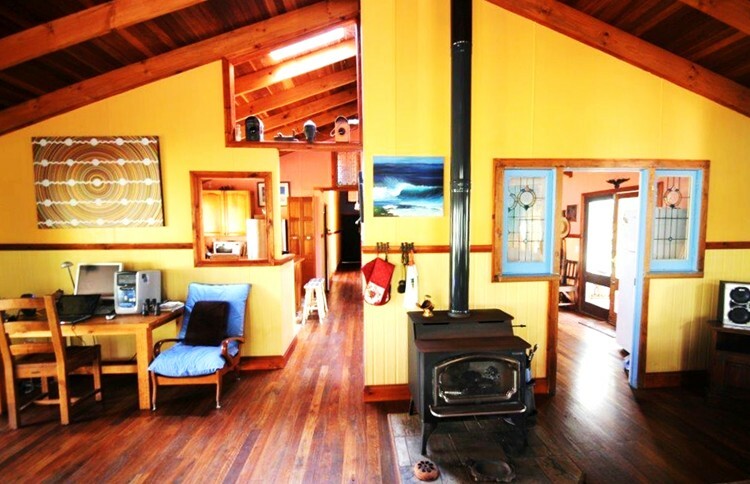 This is a tranquil surf getaway home located on an estuary peninsula opening onto the beach. It's just 6 minutes drive north from the town of Nambucca Heads and a short drive south of Valla Beach, on the Mid North Coast of NSW. 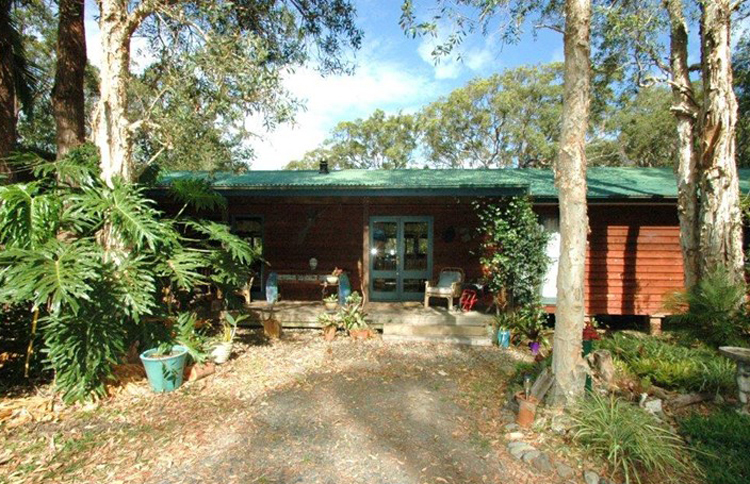 Sanctuary Bush to Beach House is air conditioned and situated on 1½ beautiful bushland acres offering lots of privacy from neighbors. 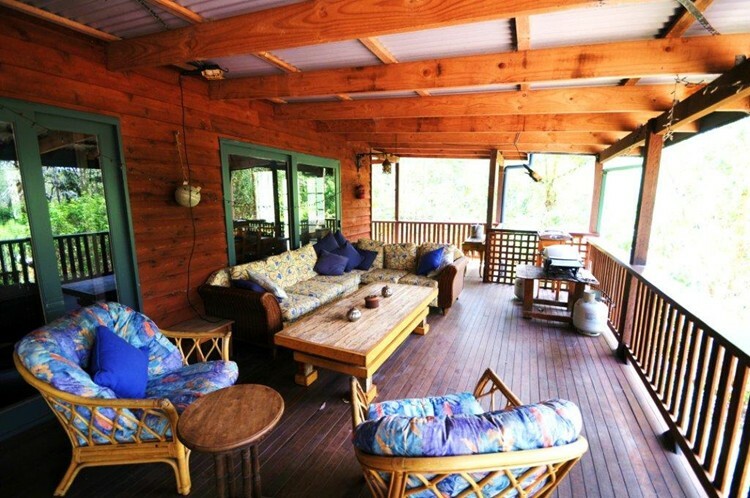 This large, spacious and recently built holiday beach house is the ideal peaceful getaway for a family vacation for up to 6 people and holidaying with dogs. Minimum stay is three days. Reach Hyland Park Beach via a beautiful rainforest path. It starts at the beach house and provides a charming 4 minute walk to the Deep Creek estuary for swimming, fishing, picnics or canoeing. Optionally continue over a rustic wooden footbridge to reach the pristine ocean beach some 3 minutes further on. 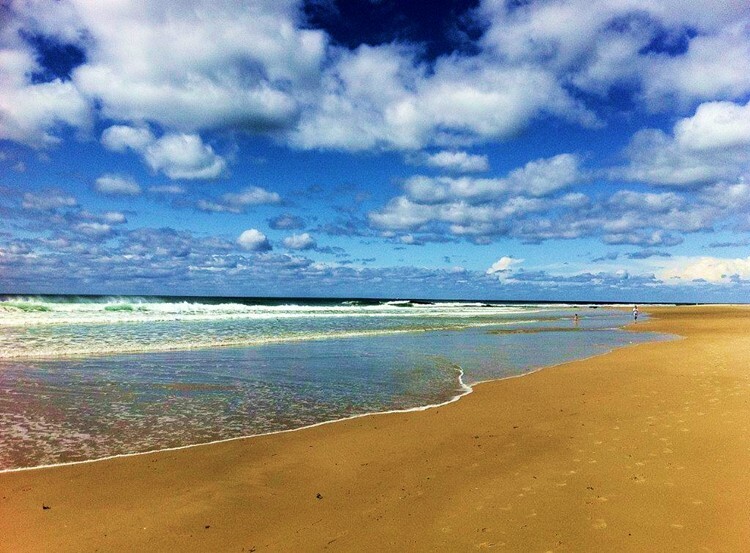 From Hyland Park Beach you can walk north to Valla Beach or all the way south to Nambucca Heads in a leisurely one hour beach stroll. This strip of beach has a well deserved world reputation for the number of dolphin pods which frequent the shoreline. You'd have to be very unlucky to miss out on some really good sightings. Whales too are often seen during their annual northerly migrations. Hugely spacious living room with timber cathedral ceilings, polished floors, lead light windows, handmade tiles and comfortable near new furnishings. The 10 person dining table is ideal for an extended family and a couple of day guests. The living room and main bedroom both have television, dvd and separate leather lounges arranged around for comfy winter evenings around the beautiful Lopi Liberty Wood Heater. The main bathroom is equipped with a large bath/shower and there is a separate toilet. 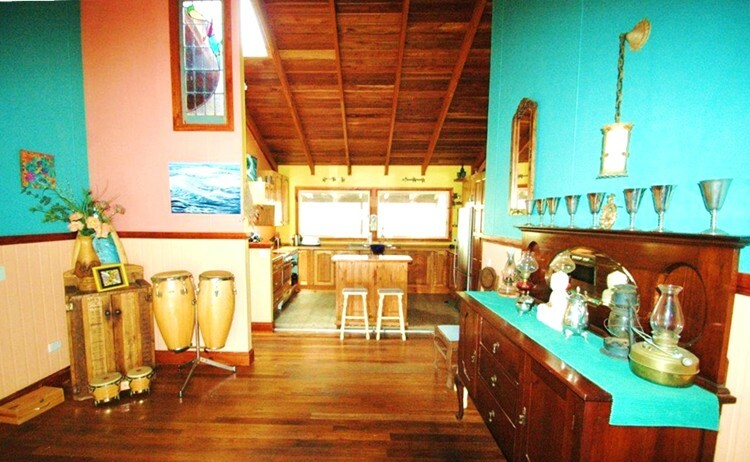 Sanctuary Bush to Beach House features a separate large kitchen and spacious entry foyer. If you're in the mood, there's every facility for cooking. New stove, oven, and Weber bbq as well as several cooking items. 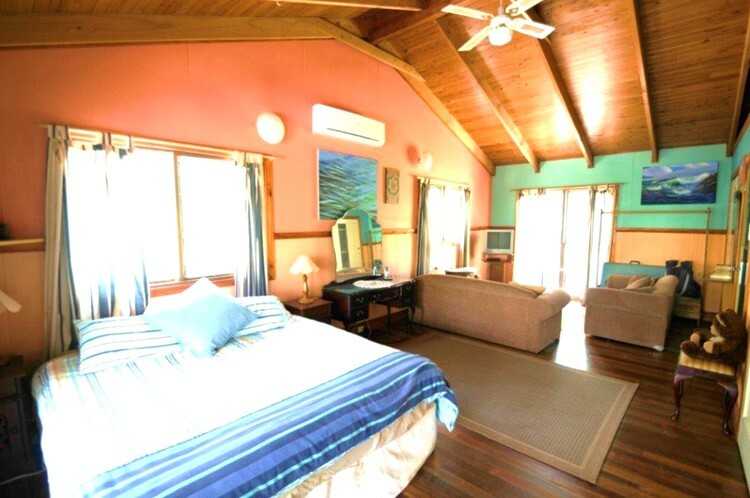 Sanctuary Bush to Beach House is suitable for a group of up to 6 persons. A small child can be added to this if under 3 yrs. This large 8½ x 4 meter main bedroom has a comfortable king bed, an ensuite bathroom and its own private lounge area. The main bedroom is also equipped with television and DVD . The second bedroom has double bunks and the third bedroom has a queen bed. 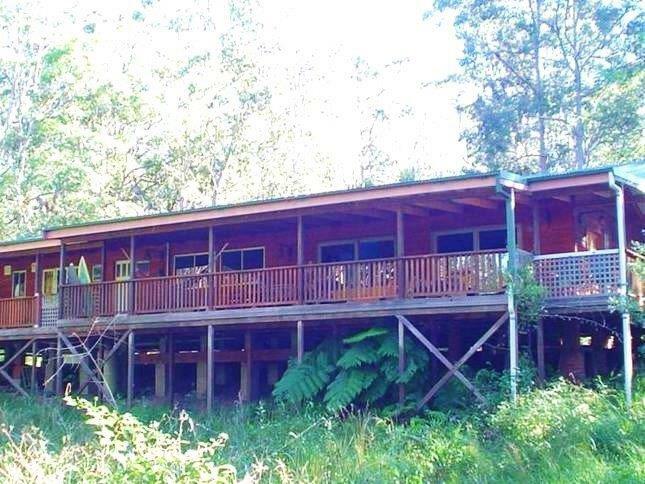 At Sanctuary Bush to Beach House you will just love the tranquil views over beautiful bush and river estuary. There is tons of room for kids to play in the backyard while you relax with a drink and a snack on the massively spacious verandah with your beloved pet. It's also a super place to enjoy a leisurely family holiday meal with outdoor dining, armchairs, lounge, recliner, etc. It's well worth rising early to view the spectacular sunrises here on the NSW Holiday Coast. They are different every day and change minute by minute. This is also a great time to do some more dolphin and whale spotting, go for a long walk or run or plunge into the crystal clear surf. I attempt to make the prices very reasonable for what is offered. Here are the seasonal rates. Other Holiday Seasons: Rates vary. Kindly contact us for more info. Minimum Stay: 3 day minimum stay.